Gladder the heart o’ my neighbour. That my life and labour repay me. In the drama, with satisfaction. 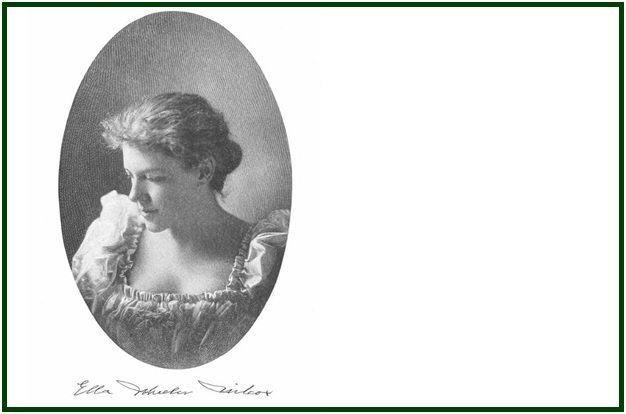 Reproduced from the book “Poetical Works of Ella Wheeler Wilcox”, W.P. Nimmo, Hay, & Mitchell, Edinburgh, undated, probably 1917, 527 pages, see p. 208. On 14 September 2016, a group of students decided to found the Independent Lodge of Theosophists. Two of the priorities adopted by the ILT are learning from the past and working for a better future.